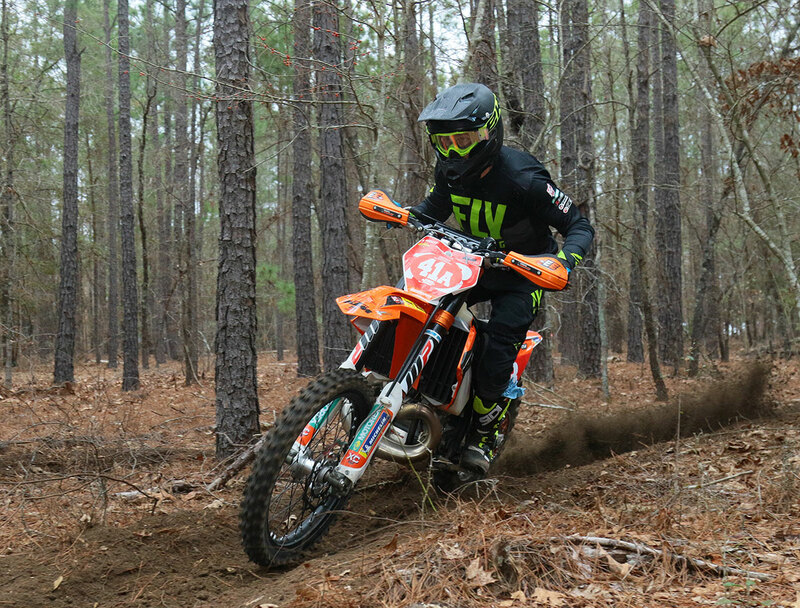 Russell Bobbitt claimed a big victory at the Sumter National Enduro in Wedgefield, South Carolina, marking the start of the 2019 Kenda AMA National Enduro Series presented by Moose Racing. Bobbitt’s win was somewhat of a surprise since the 33-year-old Georgia rider retired from full-time racing nearly two years. 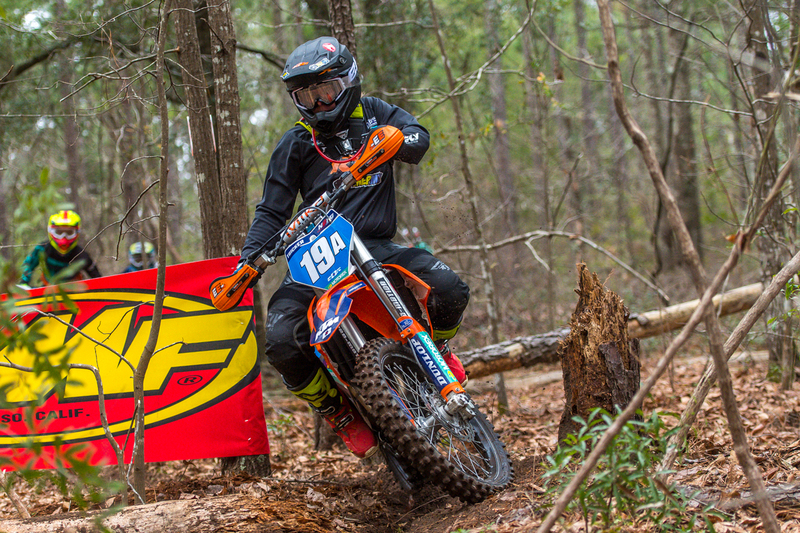 The Gnarly Routes KTM rider last won a national event in 2016, however at the Sumter event he managed to find a bit of that old Bobbitt magic racing a KTM 300 2-stroke, outrunning defending national champ Tely Energy Racing’s Steward Baylor by 16 seconds after six tests and 64 miles of racing. Bobbitt started fast, winning the first three tests, as dark clouds threatened to dump rain on the area. Heading into the fourth test, Bobbitt enjoyed a 54-second advantage over Husqvarna/ Max Motorsports/FXR Racing’s Evan Smith, with Baylor another four seconds back. Baylor, who has been dealing with a nagging knee injury, made things worse when he took a practice crash a week before, but he was still able to get settled in during the second half of the race and started reeling off test wins in an effort to catch Bobbitt. 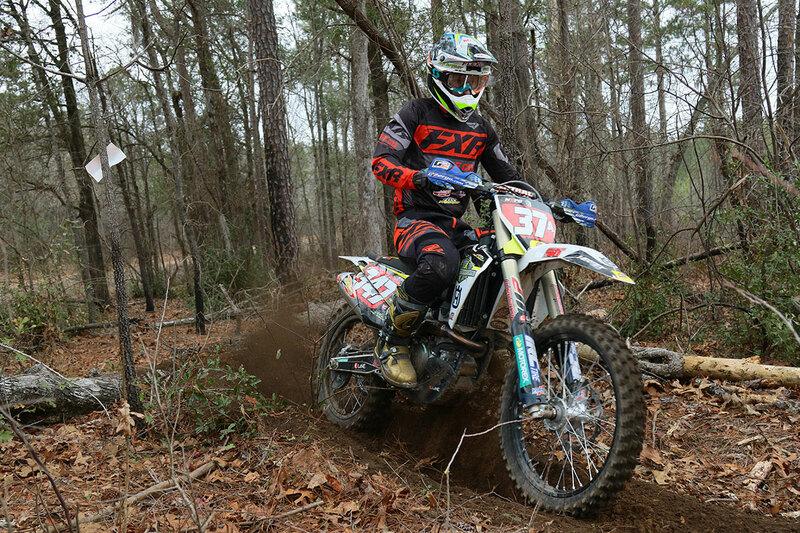 AirGroup/Enduro Engineering Husqvarna’s Jake Froman, who is starting his first full year in the Pro division, came away with eighth overall, just 23 second behind Hayes. 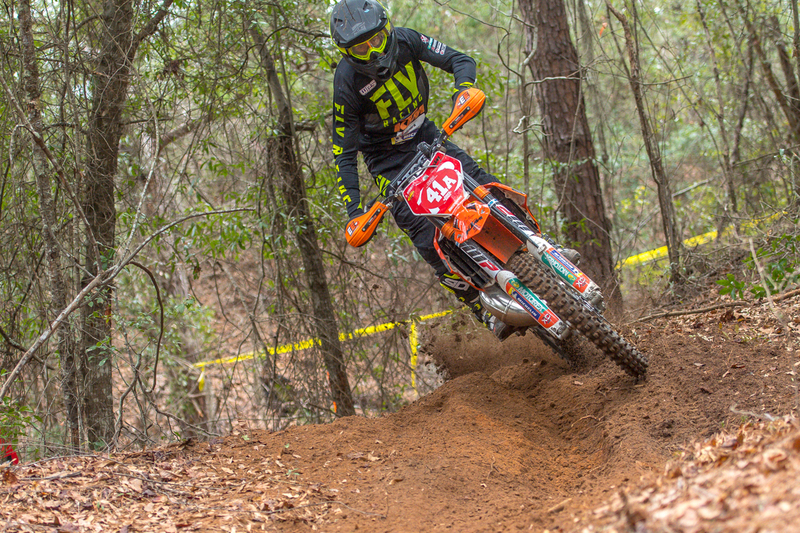 New Zealand’s Liam Draper put his Tely Energy KTM into ninth overall, which was good enough for second in the NEPro2 division. 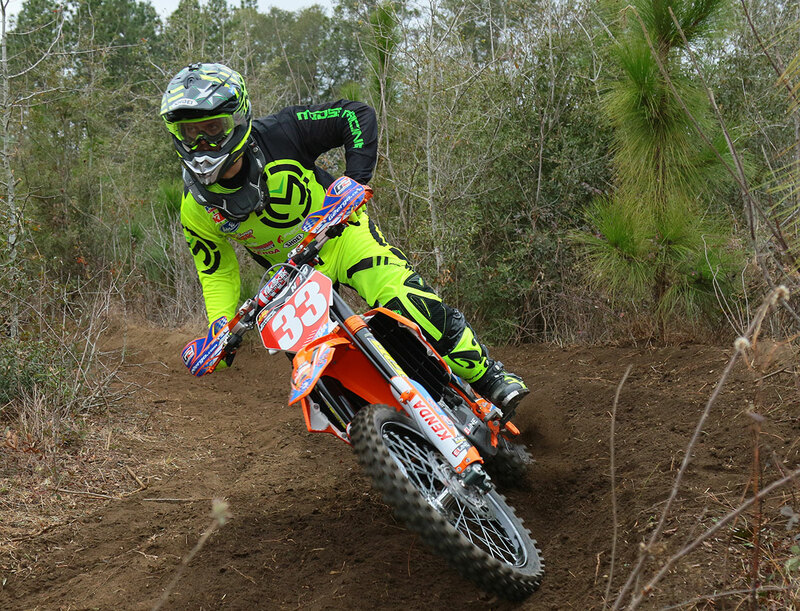 Meanwhile, Tegan Temple (KTM) was 10th overall and third in NEPro2. Mackenzie Tricker battled with defending Women’s Champ Tayla Jones, winning the Women’s Elite class.